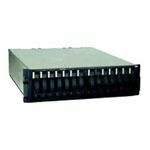 Hewlett Packard - 245307-002 245307-002 HP 14bays Rack Mount M5214 Storage Works U3 Fiber Channel Drive Enclosure Model 5214 For Eva. New Bulk Pack. 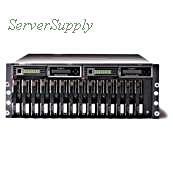 Hewlett Packard - 232113-B21 232113-B21 HP 14bays Rack Mount M5214 Storage Works U3 Fiber Channel Drive Enclosure Model 5214 For Eva. New Bulk Pack. IBM - 1740-710 IBM - 14 BAYS RACK MOUNTABLE FIBER CHANNEL DRIVE ENCLOSURE TOTAL STORAGE DS4000 EXP710 STORAGE EXPANSION UNIT(1740-710). REFURBISHED. IN STOCK.SHIP SAME DAY. Hewlett Packard - 201723-B22 HP/COMPAQ-STORAGE WORKS MODULAR SMART ARRAY 1000 - HARD DRIVE ARRAY ENCLOSURE - 14 BAYS ULTRA160 - FIBRE CHANNEL EXTERNAL - RACK-MOUNTABLE - 4U (201723-B22). REFURBISHED. IN STOCK. SHIP SAME DAY.